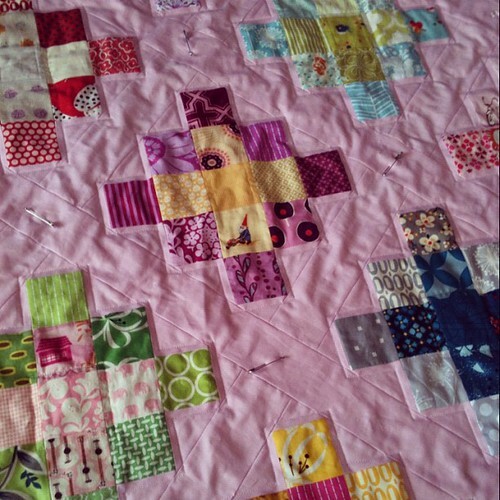 Quilted!! Please excuse the wrinkles. Backed in voile (so hard to baste! ), loosely quilted to keep it soft. Can't decide if I should FMQ hearts where the safety pins are. Thoughts?